Farrier’s Aid is a high specification complementary feed supplement containing a combination of 13 active nutraceuticals. Suitable for all horses and ponies, Farrier’s Aid provides all the necessary elements needed to maintain hoof integrity and growth. Contains 13 active nutraceuticals, including: biotin, collagen matrix, concentrated yeast derived oliosaccharides, copper, hemp oil derived omega 3 fatty acids, manganese, MSM, vitamin C, zinc and a blend of galactolipid emulsifiers, tocotrienol antioxidants, beta glucans and phospholipids. 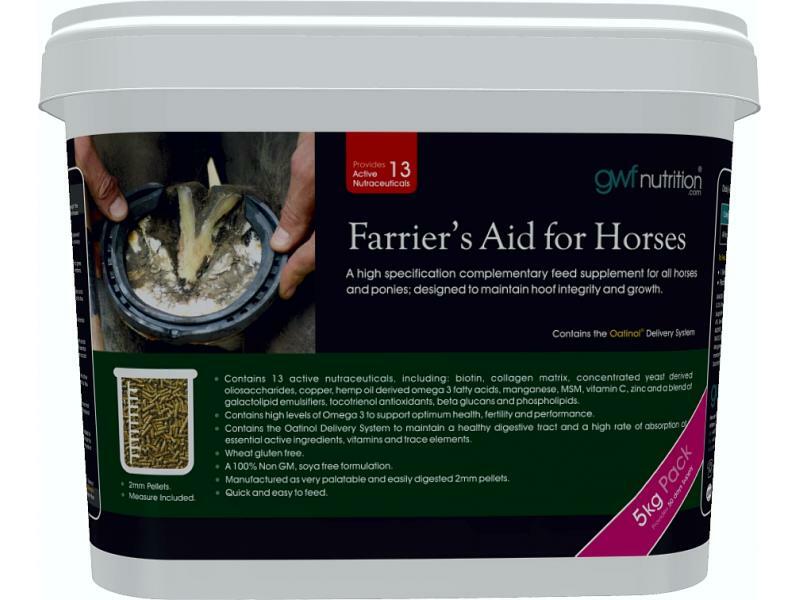 There are currently no questions for Gwf Nutrition Farrier's Aid for Horses - be the first to ask one!